Always on Sale | If It's Always On Sale, Is It Ever On Sale? When you walk into a shopping mall, what do you see? I see sale signs everywhere! How could a company ever make money if its products or services are always on sale? 50% off, buy 1 get 1 free, 70%… It never ends. Have you wondered if it’s always on sale, is it ever on sale? Organizations such as Checkbook.org compare the regular price, lowest sales prices, etc. to the public. This non-profit organization has studied companies (especially in retail) to shed light to how those businesses are always advertising sales. Truth is, we’re all suckers for a good sale. The way marketing works is that they tap into expressing a higher value for a product for a cheaper price. AND it works! If you see a shirt that’s on sale for $15, having been marked down from $45, you’d probably think that’s a great deal. You’re a winner. But what if I told you that that shirt, priced at $45, was produced at $5? At that cost, you’re looking at a 200% profit margin for one T-shirt on sale. And you’re going to buy it because you didn’t have to spend $45. They made you feel that you’re getting a valuable deal. And the next day, this particular store takes 10% more off, giving you an 80% sale. Now, this example might be a bit extreme. But if something is always on sale, is it ever on sale? This type of selling has been known to be very profitable and effective. Consumers believe that they are getting a good deal on a product or service if the percentage off is high (20-80%). One company decided not to be “always on sale“… with disastrous results. After the 2008 recession, JC Penney’s new CEO, Ron Johnson, made some radical changes in how the company was going to move forward. The company was struggling to find its identity in the competitive world of middle market retail. Johnson decided that rather than their usual practice of offering an item for $100 only to mark it down to $50 a few weeks later, the store would offer no discounts but would price all its items at what it called “Fair and Square Everyday Pricing”. The everyday low prices strategy offered the product for less than the initial $100 offer, but slightly more than the $50 sale price. The problem? JC Penney’s customers had grown accustomed to discounts and sales prices and went elsewhere when none were offered. The store’s efforts to attract new customers with it’s simpler pricing policy were a failure as well resulting in decreased sales to the tune of $1 billion. 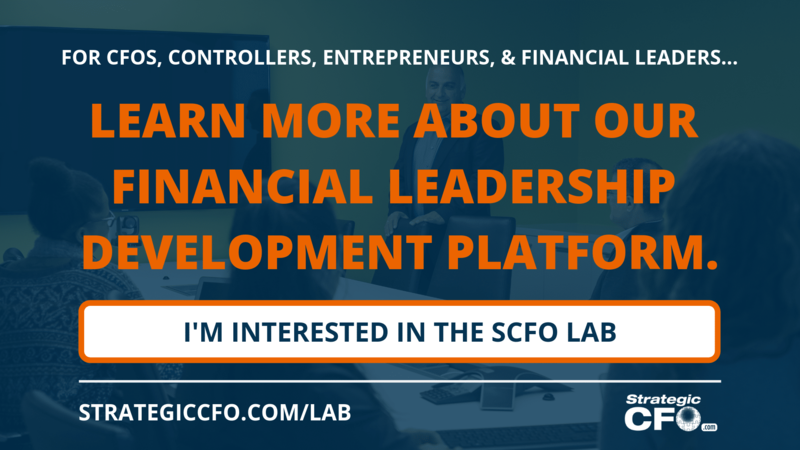 Want to learn how to price for profit while still catering to your customer’s needs? 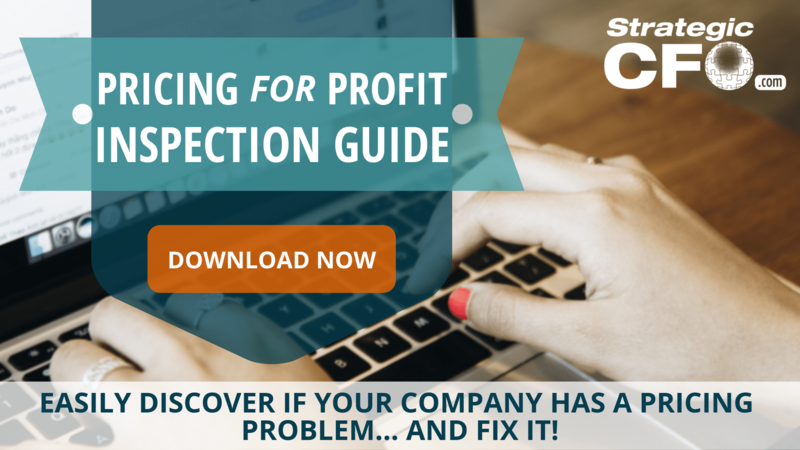 Click here to download our free Pricing for Profit Inspection Guide! Pricing could be seen as a form of psychology. People are willing to spend up to a certain point on a product. Johnson failed to see the psychology behind pricing and completely disregarded his customers. This is Marketing 101. Know who your target customer is. What’s the easiest route to obtain and hold on to that customer? Look at marketing’s 5 C’s: customers, company, competitors, collaborators, and context. Are you addressing your customers’ needs? What are the limits of what your company can do to fulfill a customer’s needs? Is there a business that through collaboration could reduce your cost of goods and overhead? What’s going on in the world that’s impacting your business? JC Penney wasn’t addressing its customers’ needs; therefore, the company lost much of its customer base. The company was also implementing new products and services within the store. Because they didn’t have the capital to execute, JC Penney had to seek additional capital to implement the plan. Competitors were selling at a lower cost with higher quality material. JC Penney’s customers began flooding to those competitors. Shipping through Amazon, hiring temporary staff, and so many other strategies could have been implemented through collaboration with another company. JC Penney was implementing a completely new business strategy after the 2008 recession when consumers couldn’t really afford to spend a lot on new clothes. This is your playing field. Focus only on this customer base. Your marketing department is most likely enthusiastic to reach every type of customer through one product. It’s better if you sell to 90% of 100 people than 30% of 300. Why? If you’re only focused on that niche market, then those customers are going to be more loyal to a company that is solely focused on their needs. Whole Foods and Walmart do an excellent job of targeting their customer. Whole Foods caters to the middle to upper class that desire healthy, organic foods. Their target customer is willing to pay a premium price in order to get a quality product. Whole Foods doesn’t try to target Walmart’s target customer. Walmart caters to low to middle income people who aren’t particularly concerned with the quality of a product, but are looking for the best price. If Walmart were to start selling premium products for a Whole Foods price, Walmart’s customer might be hesitant to continue shopping there for fear that all prices might increase. If you’re like JC Penney targeting middle-class families, your prices should match what your target customer would be willing to pay for a product or service. JC Penney failed to target their customer because they were only looking at their bottom line. If your company is constantly having a sale, are you actually making a profit? It is imperative that you examine your results to monitor if these sales are working and how they are impacting your bottom line. You should be able to price at a point where you would be profitable. Oftentimes, we analyze the revenue, the big flashy sale signs, and how well the sale is doing. But what if you hosted a sale that didn’t allow for you to make a profit? Looking for how to price for profit? Click here to download our free Pricing for Profit Inspection Guide! Regardless of whether your company is hosting a 20% off, a BOGO, or an 80% off sale, you can still price your products to give you the return you need. JC Penney did a number of things wrong in addition to missing their target customer, but in the end it led to the firing of the CEO and a lengthy recovery period that some still say they aren’t quite through. They didn’t price for their target customer or price at a point that would return a profit. To make sure that you’re setting your prices at a profitable level, check out our Pricing for Profit Inspection Guide here.